At ALHAUS, we believe that everyone should be able to access the great content on your website. 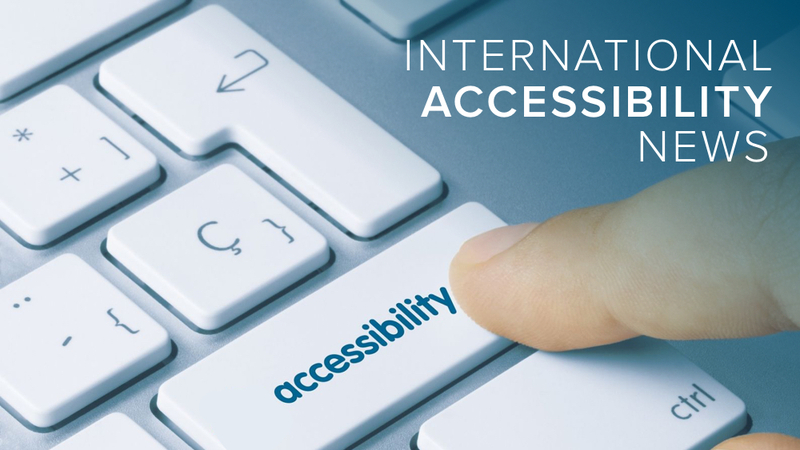 So every month we offer the latest news and updates on internet accessibility from around the globe. With accessibility technology constantly improving, we want to make sure all of our clients are kept up-to-date with the latest developments so that everyone can enjoy your great content. The Accessible Platforms Architecture (APA) is looking for accessibility and technology experts to help review the W3C specifications to ensure they provide accessibility. These individuals will review the W3C technical reports for both benefits and concerns of accessibility guidelines. The individuals who work with the APA will be the first point of contact to ensure that the new accessibility standards help people across the globe. Researchers at École polytechnique fédérale de Lausanne have designed a new touchable tablet that quickly creates shapes and relief maps to help users with vision disabilities engage with graphic content. The tablet uses a series of 192 buttons that quickly move up and down in order to create a textural interface. This new tablet has a variety of uses from teaching students mathematics to helping people navigate around unfamiliar territories. Todd Stabelfeldt, a man who became a quadriplegic after a childhood accident has been able to use a combination of Apple technology to gain newfound independence. With iOS 10; Siri; and Homekit Stabelfeldt has been able to send texts; run his consulting business and charity; and manage his home. Stabelfeldt is one of many Apple users who has benefitted from the company’s drive to expand accessibility through its technology. Apple’s home automation technology Homekit and Homekit-enabled appliance have helped homebuilders create more accessible housing. Homekit helps people with do simple tasks like turn on light switches and open blinds or doors with an easy to navigate screen and voice command options. With this technology, running a household has become easier for people with physical limitations and offering them more independence. Seeing a lack of accessibility in video gaming controller options, Mark Barlet, an Air Force veteran created Ablegamers Charity in 2005 to help people gain access to video game technology. The charity has worked with a number of technology companies to help people get accessible controllers. The company works with individuals one-on-one to ensure they get a controller that works with them so they can have access to all the benefits of playing video games.